Kids rooms are funny. From the moment I found out I was pregnant with Parker, I began thinking about how I wanted to decorate the nursery. Then she was born and it felt like it was immediately and constantly evolving. She was out of her crib by two, her bookshelves were hung so high that they were out of her reach and felt impractical, and toys and daily essentials felt like they were being retired and replaced on a monthly basis. 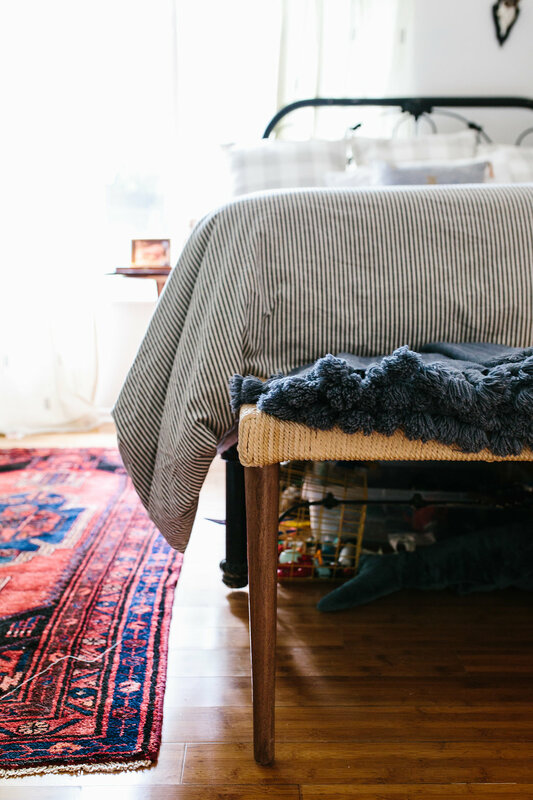 When I first stepped into Porter’s room, I immediately gravitated towards everything. (Which is no surprise since his mom is the talented Austin-based designer, Shannon Eddings.) 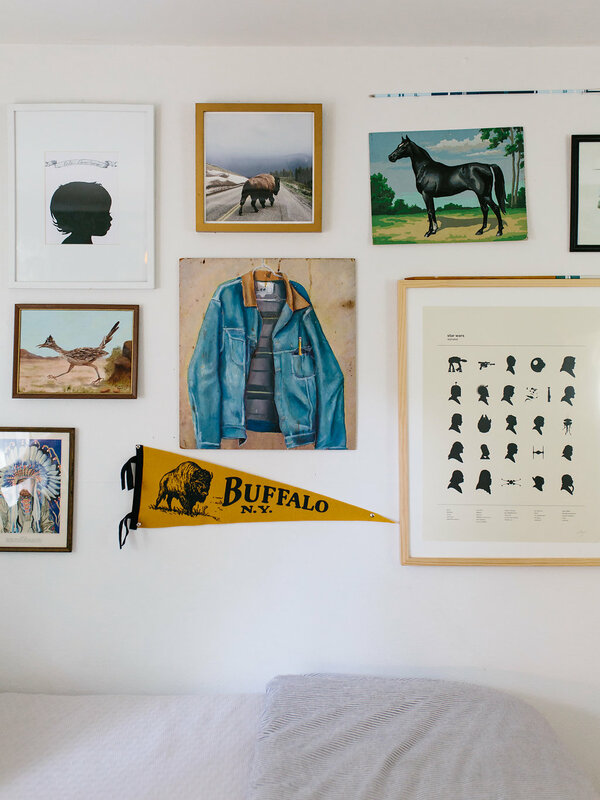 The room is so well curated with antiques and one-of-a-kind pieces. 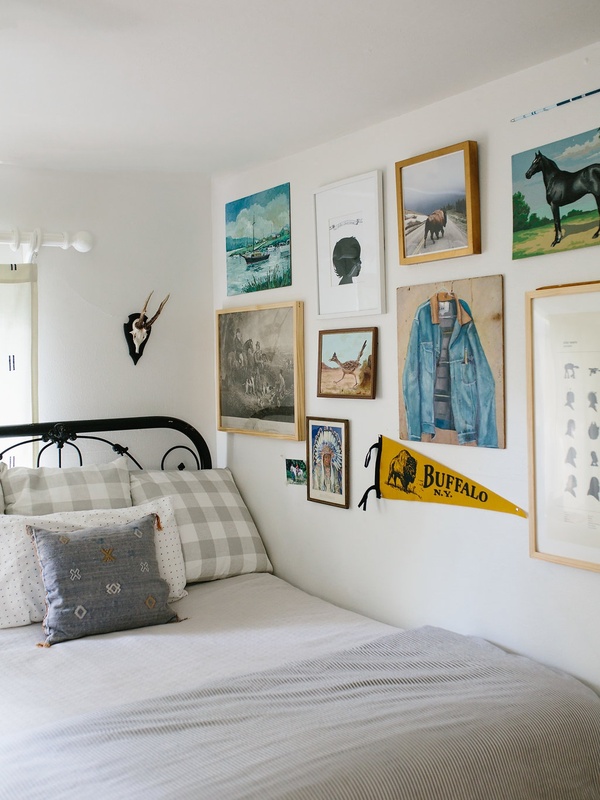 It feels timeless and yet still like a little boy’s room and I love the way that it’s a space that will grow with him for years. 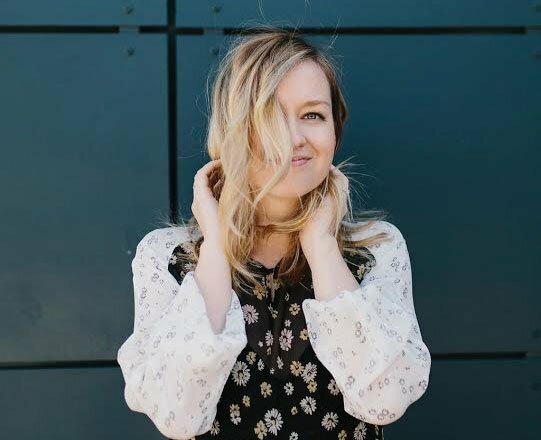 Shannon was kind enough to not only give us a tour, but to share some of her tips for designing a thoughtful kid’s space. Jen: How old was Porter when you designed his room? What was the inspiration for the room or was there one piece that really drove the direction of the room? Shannon: Porter had just turned six when we decided it was time to put our girls in a shared room and let him have his own. 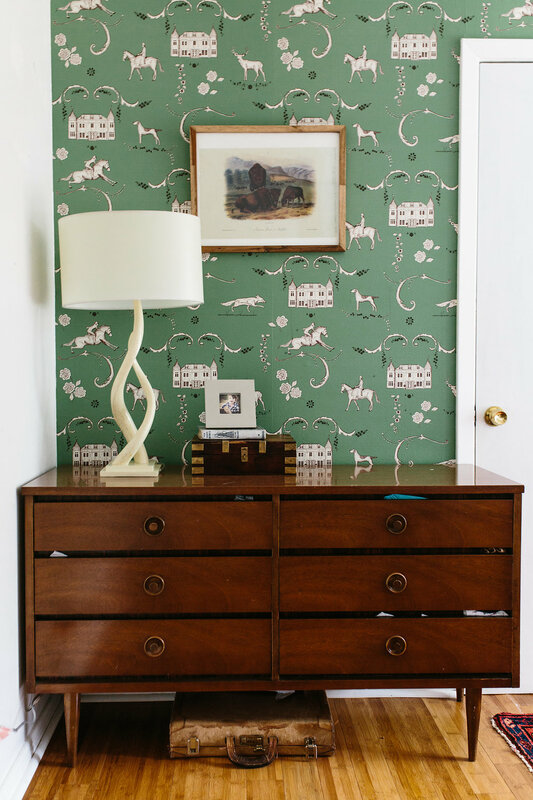 The wallpaper in the room was already on the wall, as his room was the old ‘nursery’, so I would say that drove the design along with my large hoards of art that I’d collected from antique and one-off shops through the years. 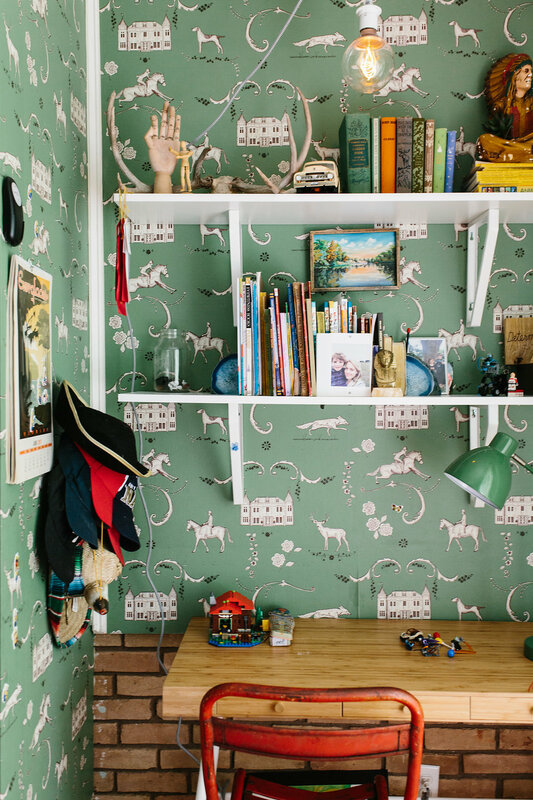 I bought that wallpaper years ago before I had 3 kids – only 1 – on sale from anthropologie. 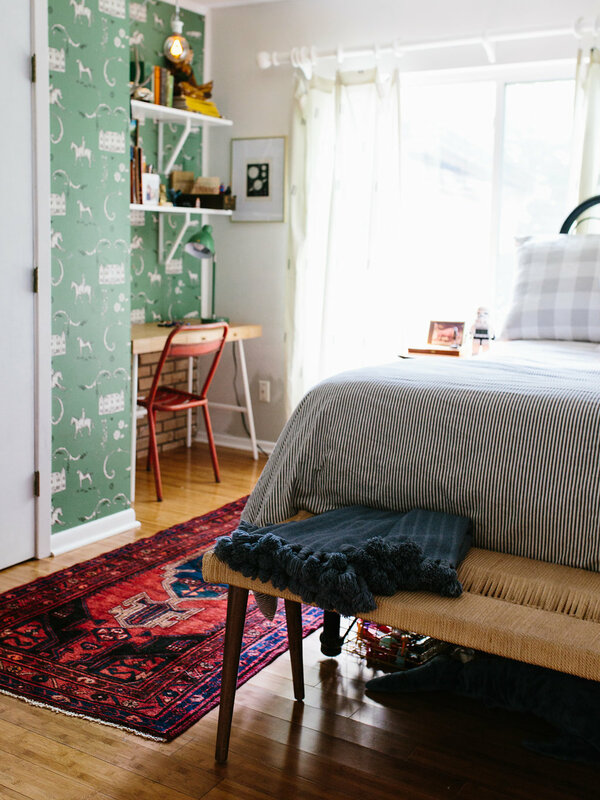 It struck me as whimsical and fun and could swing both ways – boy or girl, so it’s been the nursery for all 3 kids. It’s great because it works with more boyish decor or pink and girly. Did you run into any challenges when designing the space? Yes, of course! The built-in wall nook was where we always had the crib, so we needed to find a solution for that space – which is where the simple ikea desk, antique metal chair and wall shelves are. The bed is an antique bed that my grandmother got from a hotel that was closing in Wichita, KS. It had been in storage for years so we pulled it out only to realize it’s a full bed frame and we had a queen mattress. Sam was able to use a welding tool to cut the footboard down so that we could fit a queen mattress and bedding on top of the full bed. What’s your favorite thing about this room? My favorite thing is the persian rug I found on ebay or the gathered art collection. 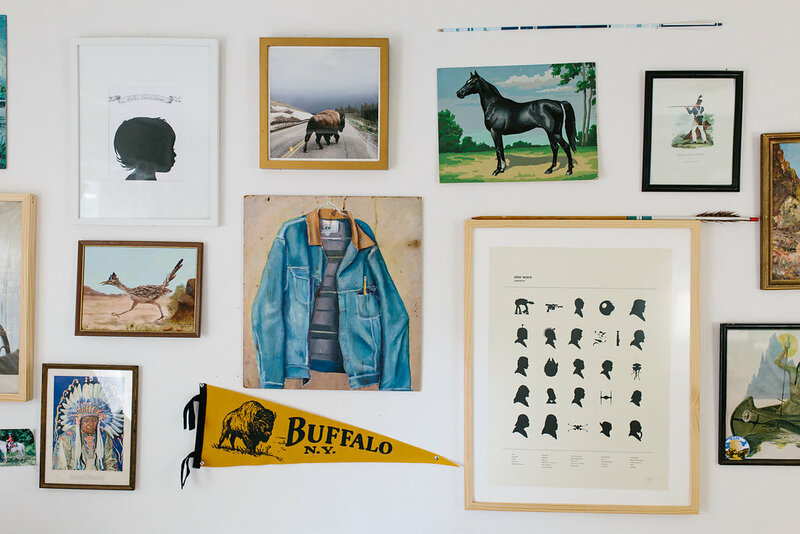 I can remember where we were when we found each piece– New Mexico, Colorado, Round Top, New York City, etc). I love that it feels so age appropriate, yet there’s room for him to grow with it, too. (He could still have this room as a teenager!) 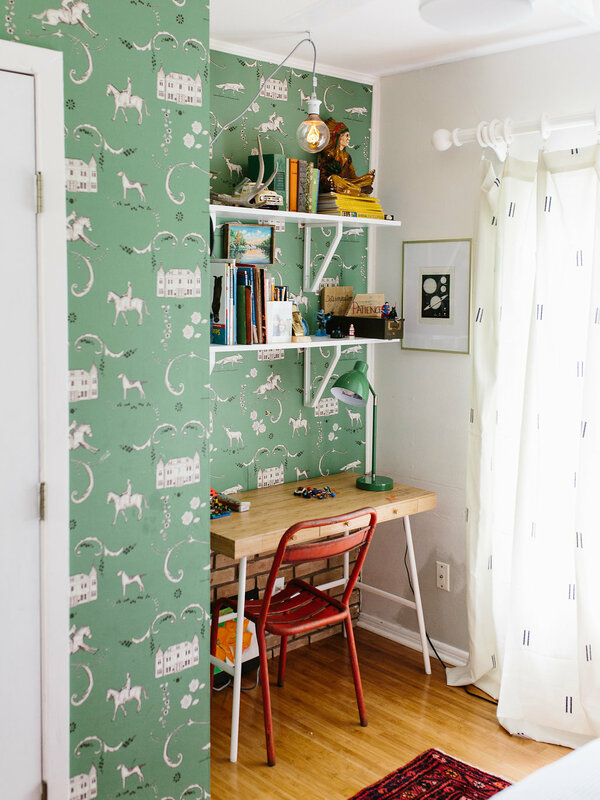 How can people avoid creating a room that their kids will grow out of too quickly? I would say avoid themes and ‘baby’ color schemes. Also embrace ‘age appropriate’ interests by buying more transient or temporary items that fit their desires. Like a star wars alarm clock and the quirky but awesome star wars art print I got on etsy. Porter loves Star Wars so I embraced that through smaller accessories rather than large cheesy wall art or bedding.